Dr. Naveen Goel, CEO and Founder at HealthKOS, an end to end solution connecting patients, healthcare professionals and families to improve the quality of care joins eHealth Radio and the Healthcare Channel. How is HealthKOS disrupting the current norm in the healthcare industry? What is HealthKOS and how is it different from other similar platforms? How does this platform help with lowering the cost of healthcare? Do you believe this change will work? Who is the ideal candidate for HealthKOS and is it affordable? How can listeners help their grandparents, parents or even their own patients get the quality care they deserve? Dr. Naveen Goel is a physician and an innovator in the new field of “Patient Centric Health Solutions” with the specific goal of improving patient quality of care and reducing healthcare costs by effectively leveraging technology. To do this, he has co-founded his own company, World-Wide Health Initiatives, based in South Florida with over 40 employees. 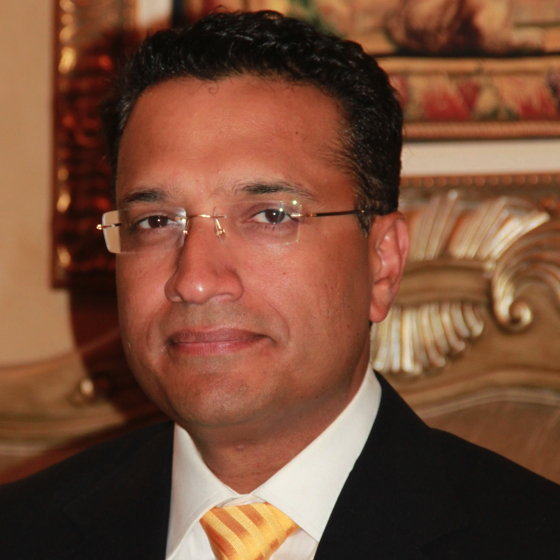 Dr. Goel is a Board-Certified Interventional Nephrologist with training and residency completed in New York City. In his outpatient vascular access practice, Dr. Goel oversees an advanced team that completes 3,000+ interventional procedures a year at the highest quality and patient satisfaction across South Florida. Dr. Goel’s work in nephrology is well-known within the community and has established himself as a thought leader in many domains of medicine and IT. From Dr. Goel’s experience treating ill patients, most with multiple chronic diseases, he realized a new health IT solution to change the current norm was needed. After several iterations, this led to the creation of HealthKOS™, an end-to-end solution to improve patient engagement, compliance, and outcomes. HealthKOS allows the healthcare team to monitor patient progress outside the practice office, leading to timely interventions, preventing disease progression and unnecessary hospitalizations. In addition to the development of HealthKOS, Dr. Goel works directly with governments of developing countries to launch new initiatives and approaches to provide high-level care to the underprivileged, rural areas within a country. These initiatives leverage useful technology from a physician’s perspective that are both impactful and cost-effective to improve the current norm with sustainability. Dr. Goel’s is a charismatic leader whose experiences are not that of a typical physician – his experience and passions, range from treating patients to expanding the use and efficiency of digital health, to the simple understanding and application that connected care and patient engagement will make a difference for a patient’s health quality. He is an individual who wants to make a difference in his chosen field – Medicine.